In a review of its 2014 efforts, the Billy Graham Evangelistic Association reveals that it has shared the Gospel with close to 9.5 million people around the world through its outreaches. More than 1.6 million of those people have made a decision for Christ, reports the BGEA. 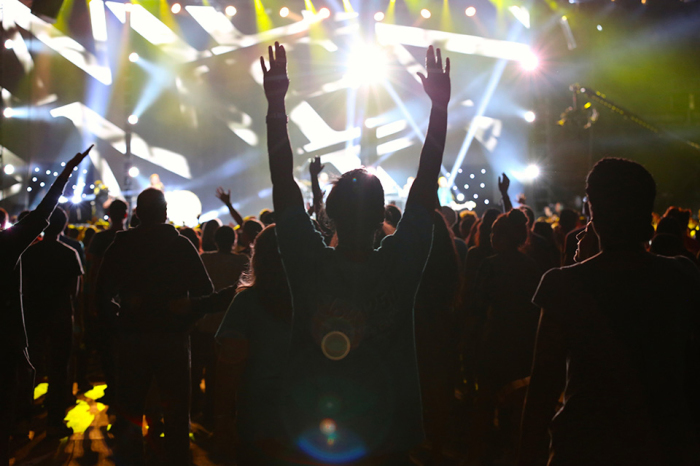 Those outreaches include BGEA collaborations with local churches in North America, Europe, Australia and Asia to hold large scale festivals and celebrations. BGEA President and CEO Franklin Graham and his son, Will Graham, also preached the Gospel at functions hosted in parts of the United States, Canada, Japan, Sri Lanka and Papau New Guinea. Franklin Graham praised God for the BGEA's efforts in a recent letter. He wrote "Our hearts overflow with gratitude to God for all He has done and is doing, and we are eager to keep pressing forward as He continues to open doors." Other 2014 accomplishments include chaplain intervention in racially-divided Fergusion, Missouri. Crisis-trained chaplains from the Billy Graham Rapid Response Team served amid the turmoil and unrest following the August killing of Michael Brown, meeting with St. Louis locals including Michael Brown Sr., praying for the violence to end, and in one instance, marrying a Ferguson couple whose home burned to ground. The chaplains also responded to natural disasters in the U.S. and abroad. The BGEA also celebrated the response it received from namesake Billy Graham's My Hope program "Heaven." More than 200,000 copies of the program were distributed around North America and Canada. A related video message posted to YouTube has also received over 150,000 views. The organization said in a press release that it continues to receive results from the program. It also released "Captured By Grace," a documentary featuring the full "Unbroken" story of Olympian and World War II POW Louis Zamperini, on Christmas Day. The BGEA also made tremendous strides online through its Internet evangelism ministry Search For Jesus. The site, which allows visitors to view a Gospel presentation and interact with trained counselors, has resulted in 5 million decisions for Christ since it was launched in 2011. In 2015 the BGEA hopes to launch major evangelistic crusades in Ukraine, Spain, Brazil, Japan, India, Philippines, Tanzania and North America. Search For Jesus will continue to expand and plans are in the works to expand take the "My Hope" message to additional countries.